The Third Jamgön Kongtrul, Karma Lodrö Chökyi Senge (Tib. འཇམ་མགོན་ཀོང་སྤྲུལ་ཀརྨ་བློ་གྲོས་ཆོས་ཀྱི་སེངྒེ་, Wyl. 'jam mgon kong sprul karma blo gros chos kyi seng+ge) (1954-1992) was the immediate reincarnation of Karsé Kongtrul from Palpung Monastery. 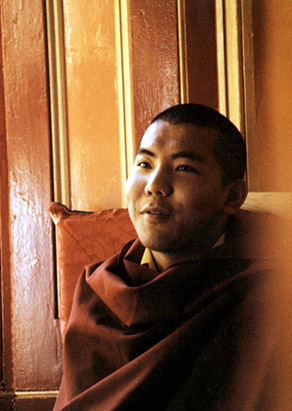 Mingyur Drakpa Sengé, born in Nepal (b.1995) as the son of Beru Khyentse Rinpoche. ↑ His anniversary is celebrated on the 24th day of the 2nd month of the Tibetan lunar calendar. This page was last edited on 25 April 2011, at 03:37.